Fantastic compilation of Stefano. The sense of the feeling and the dexterity of its play make of this album a real source of inspiration for many music style. Not just for practice, a great listen. Stef is never stuck for ideas, and here's the proof. Same drum track with all different melodic ideas. Each contains variations on the elements that make up good songs: themes, variations, tension, resolutions and climaxes. This is a resource and inspiration. Musical Magic from Klaus and Stefano! This is a brilliant concept. 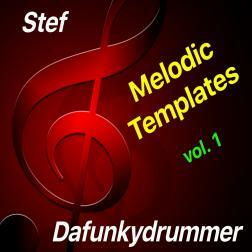 Take a perfect beat from Klaus' many perfect beats and let Stefano free with his keyboard mastery to create an album of templates for all us Loopers to look to for inspiration in our own musical thoughts. There is something here for all of us. Bravo Klaus and Stefano! !